One of the most common complaints that Audiologists get is that hearing aids do not help with the telephone. A lot of the time this has to do with sound being processed too much – being sent out from a speaker in the phone, picked up by the hearing aids’ microphones, being processed again, and being released by another speaker in your hearing aid, causing the sound to become distorted and unclear. People often ask us what can be done to try and improve your ability to hear the phone, and there are some strategies that can be tried, with consideration of other factors making it even more challenging. When a person without a hearing aid uses the telephone, the speaker is placed tightly against the opening of the ear, allowing the sound to travel directly into the ear canal. Unless there is a bad line, a problematic speaker, or an unidentified hearing loss, the person should be able to hear clearly. When a person is wearing a hearing aid, the ear is often ‘blocked’ by the aid itself, so holding the phone as one usually would might make the sound seem worse instead of better! There is also the added complication of feedback that often occurs as a result of holding something too close to the hearing aid. Unfortunately for some there is no alternative but the last resort- to remove the hearing aid- but there are some tricks to try before resigning to this. Positioning the Phone: Hold the telephone’s receiver in line with the microphones on the hearing aids- they usually sit at the top of the aid, not inside the ear. Also angle the handset so that the phone does not rest directly against the hearing aid. Use Speakerphone: We know that hearing with two ears is better than only with one. Using speakerphone allows the user to listen with both ears, and with some distance between the hearing aid and the phone. Even better is to use a video chat client like Skype or Facetime, which gives the hearing aid wearer the ability to see the speaker’s face, which makes understanding speech far easier. Hearing Aid Settings: Some hearing aids can be set up with a specific telephone program- with an easy push of a button or connection with a magnet the sound can be adjusted to be more suitable for telephone use. Speak to your audiologist about whether this might be an option for you. Special Telephones: Amplifying telephones are cost effective, and they allow you to adjust the volume of the telephone for each call. 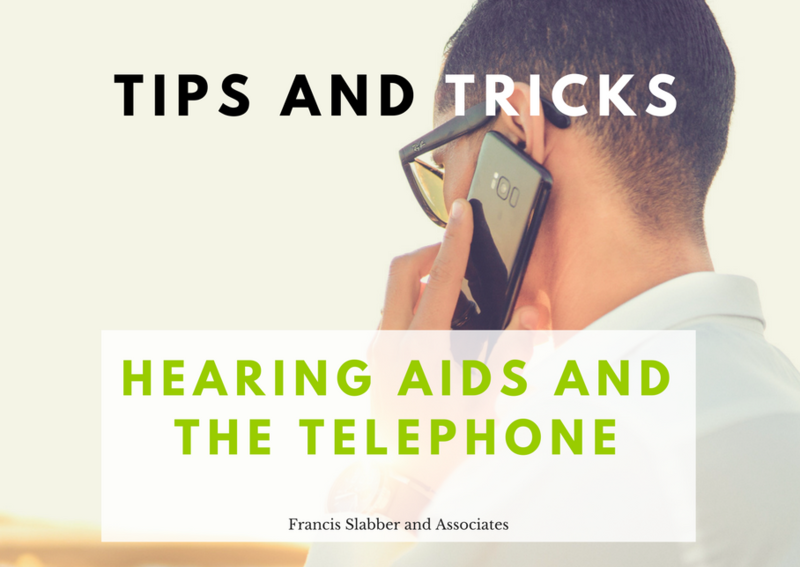 You can also get telephones that have a feature called Telecoil, which can be directly connected to some hearing aids to get a clearer sound (speak to your audiologist about whether Telecoil can be activated in your hearing aids before purchasing a telecoil phone). Bluetooth connectivity: New hearing aids these days have the ability to be connected to your cellphone or even your landline using Bluetooth devices- some can even be connected to specific phones directly. These give the best possible sound signal for talking on the phone, but do require a bit of an investment, and take a little bit of tech-savvy. Talking on the phone while wearing hearing aids doesn’t have to be a nightmare- with the right technique and the right technology, it can be easier to have clear and comfortable phone conversations. If you have any tips or tricks that work for you, or any questions, please comment below, or contact us.